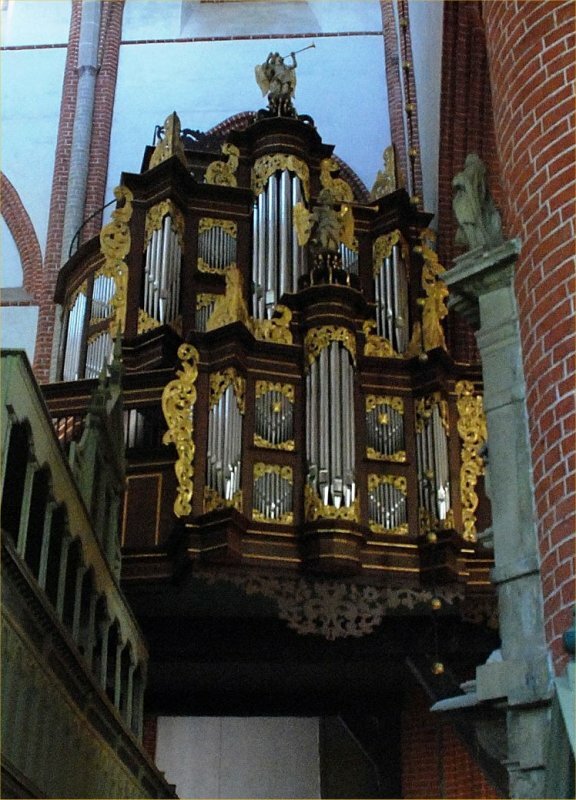 1686-1688: Construction of a new organ by Arp Schnitger, using pipework of the previous organs by Andreas de Mare (1566/1567) and Edo Evers (1616-1618). Case and tracker action mechanism were completely new. 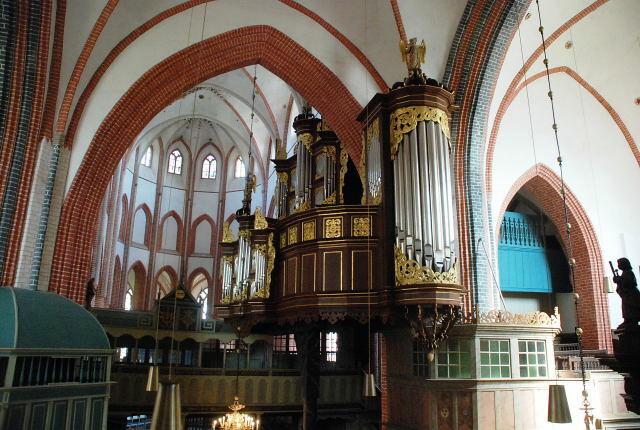 1691-1692: Schnitger added a fourth work (Oberwerk) to the organ. 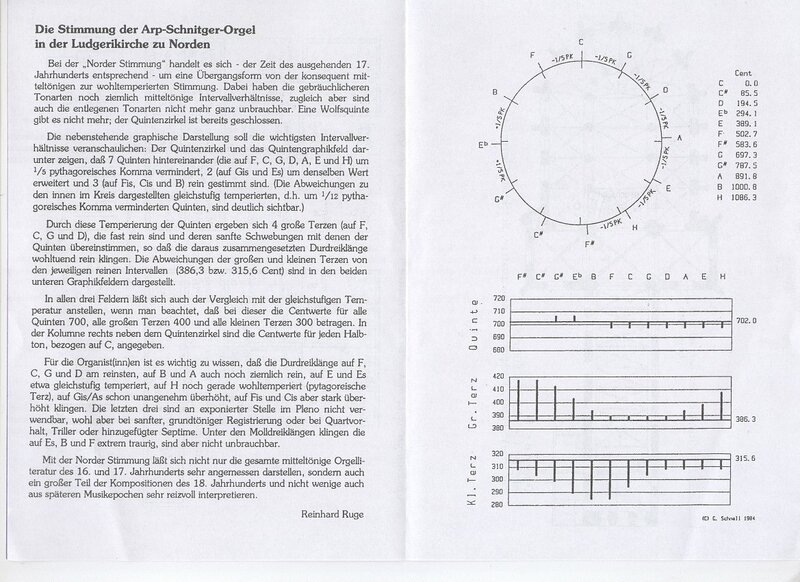 This work was playable from the third manual of the Brustwerk. 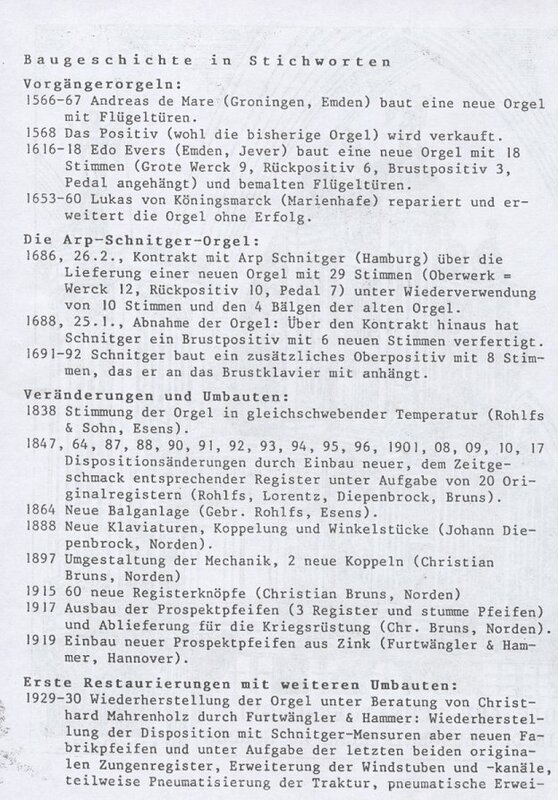 1838: Tuning of the organ in equal temperature. 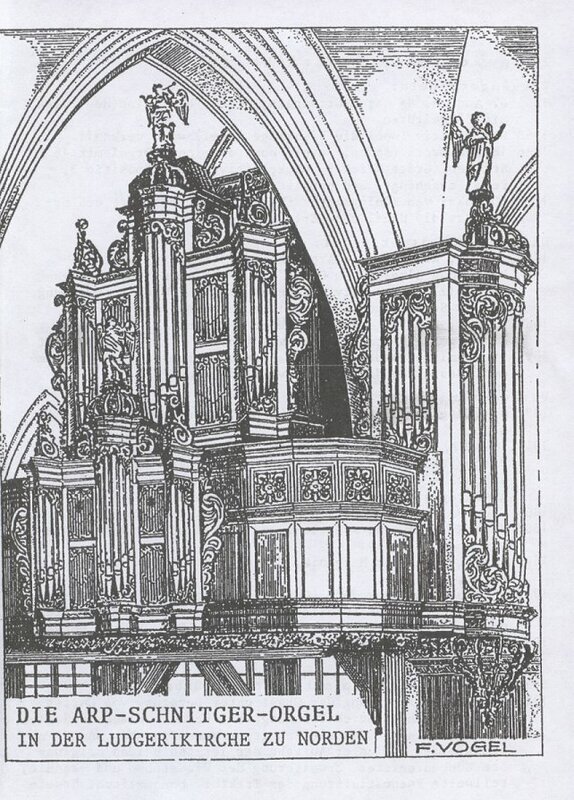 19th century: Many alterations to the organ. 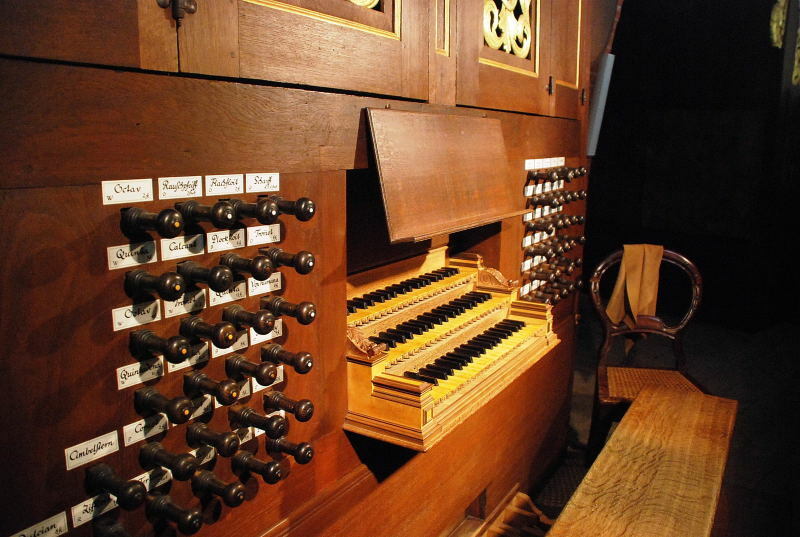 Ranks were replaced, the sound characteristics of the organ changed into what was deemednecessary in those days. 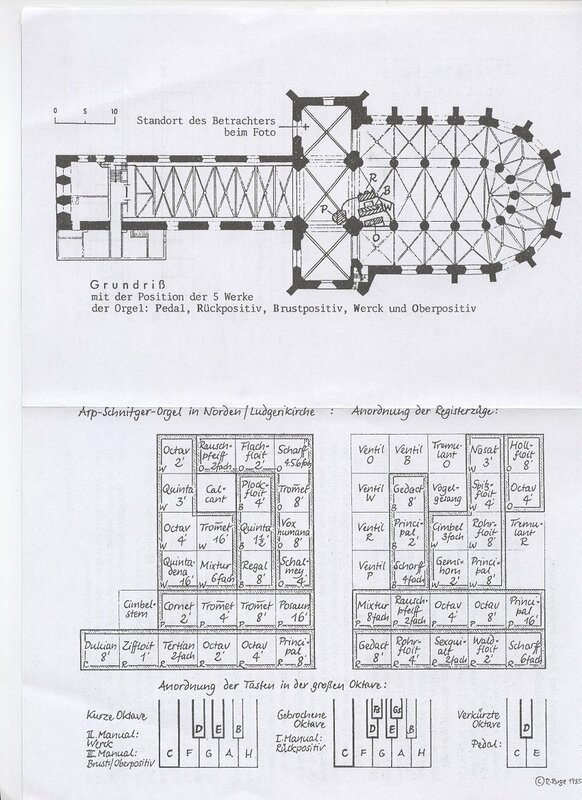 The mechanism, however, was not changed. 1917: Removal of the front pipes for the first World War. At this time only half of the ranks were still present. 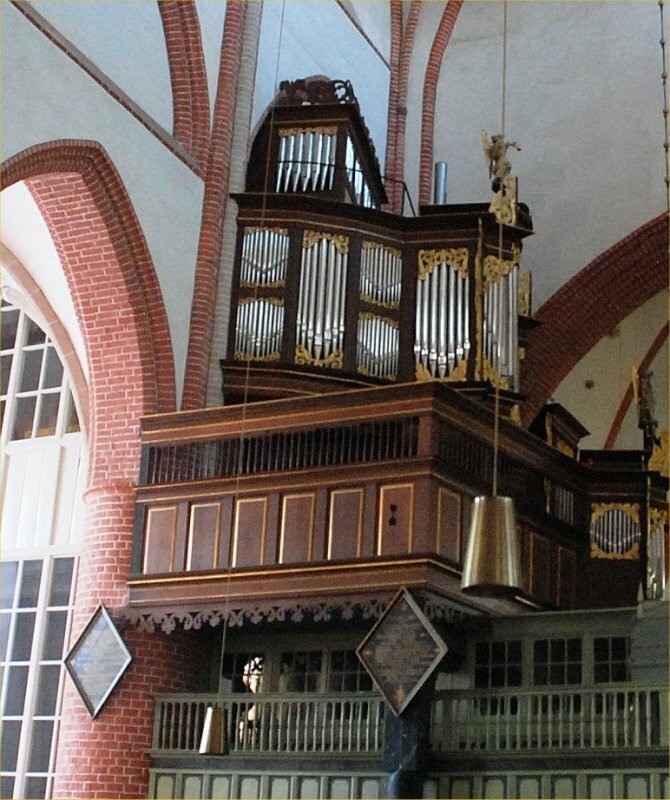 1929/1930: First restoration (Orgelbewegung) by Furtwängler & Hammer. 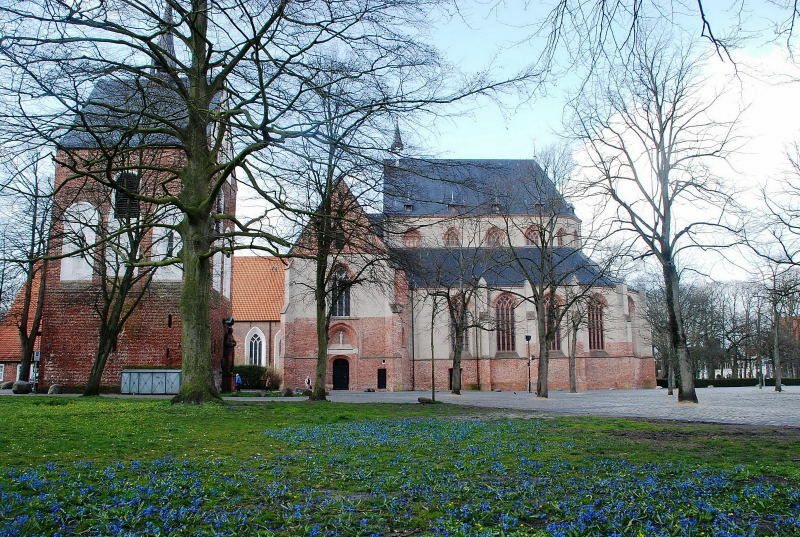 Christhard Mahrenholz was the adviser. 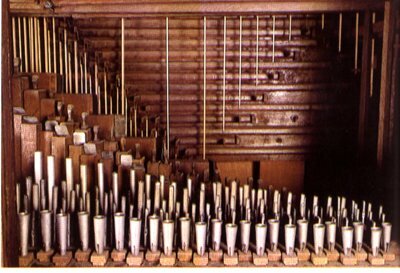 The last two reed-stops were replaced. 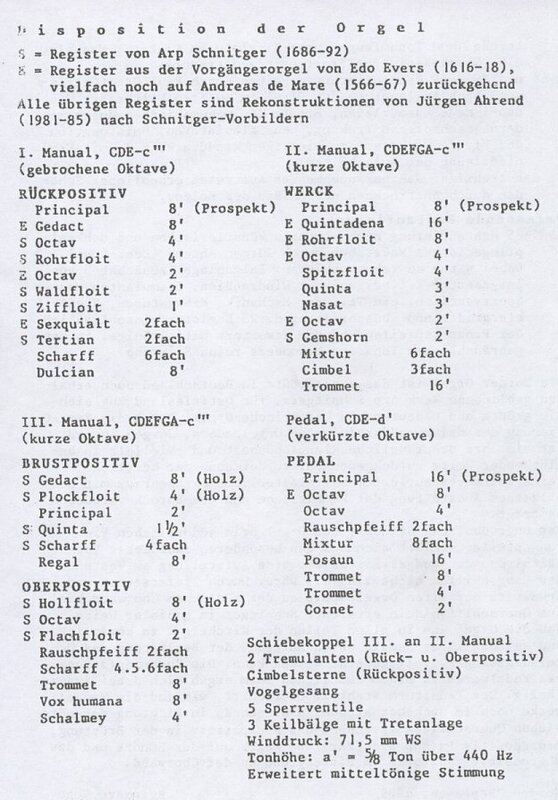 For the first time other Schnitger-organs were investigated into, to make copies of the ranks that had been removed. 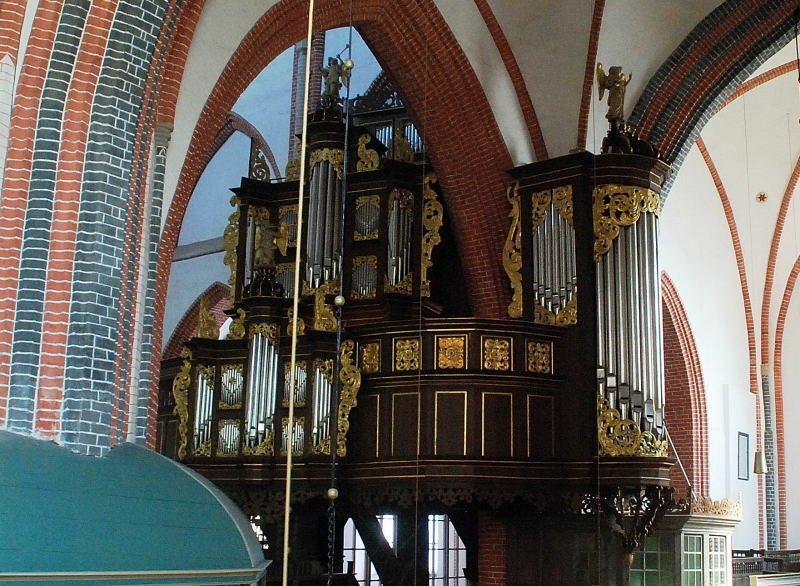 The mechanism was exchanged for an electro-pneumatic installation. 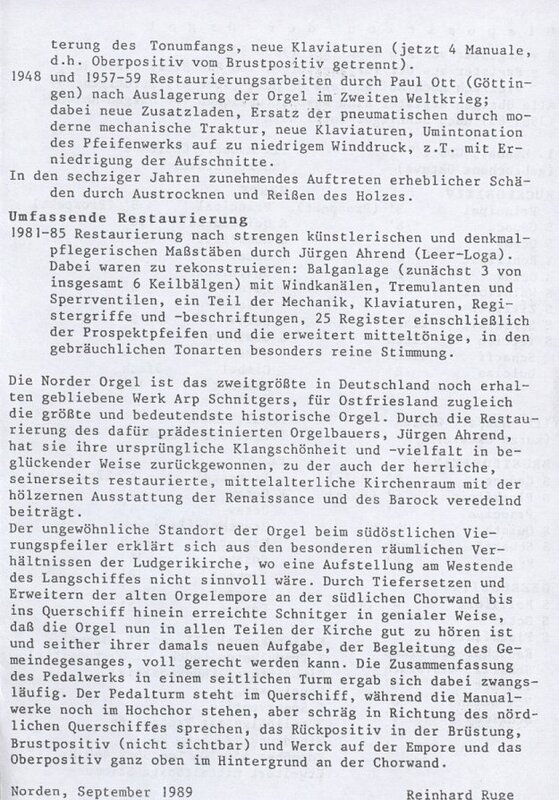 1943-1945: Removal of the organ to the monastery of Möllenbeck to save the organ from possible bomb attacks due to the war. 1948: Rebuilding by Paul Ott. 1957-1959: Restoration by Paul Ott. New tracker action mechanism.